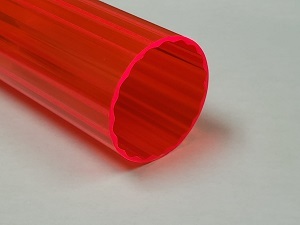 Serving the plastics industry for over 60 years, we offer our expertise in the design and manufacturing of pipe, tubing, sheet, profile, and compounding strand dies and tooling. 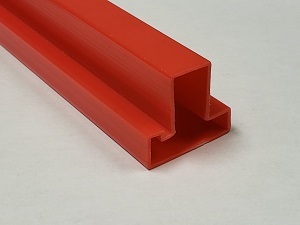 Our experience has allowed us to develop formulaic tables for many different types of plastics and processes. 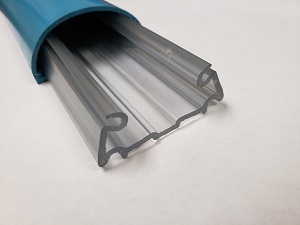 From a simple FPVC tubing die, to a much more complicated multi-cavity RPVC window or siding die, our engineers and technicians can design and if required, help set up and tune in your Al-Be tooling on your equipment in your facility. 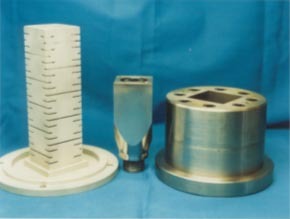 Following is a listing of the various types of processing tooling we manufacture. For additional information, please contact the factory. Model AB-10: Up to 3/4" pipe or tubing. 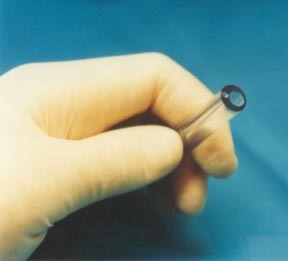 Typically used for micro-tubing, smaller tubing, and pipe. 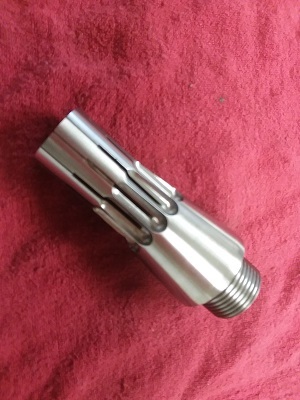 Manufactured from alloy steel, or for medical use, stainless steel. All flow surfaces are high finish polished and hard chrome plated if required. Model AB-15: Up to 1 1/2" diameter pipe or tubing. Manufactured from alloy steel or, for medical use, stainless steel. All flow surfaces are high finish polished and hard chrome plated if required. Model AB-20: Up to 2 1/2" diameter pipe or tubing. Manufactured from alloy steel, or for medical use, stainless steel. All flow surfaces are high finish polished and hard chrome plated if required. Model AB-24: Up to 6" diameter pipe or tubing. Manufactured from alloy steel. All flow surfaces are high finish polished and hard chrome plated if required. Model ABCH: Our sheet die manufacturing capabilities run from as small as 4" wide up to 30" wide. 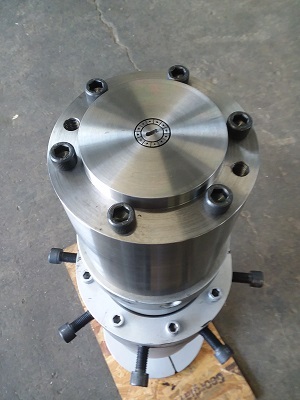 Smaller sheet dies are designed with a coat hanger style center flow restriction to "force" material from the center to the outside edges providing a more even flow pattern. Larger sheet dies are manufactured with a coat hanger style center flow restriction as well as an exit "flex lip" to enhance control of the overall sheet thickness and integrity. Manufactured from alloy steel. All flow surfaces are high finish polished and hard chrome plated if required. 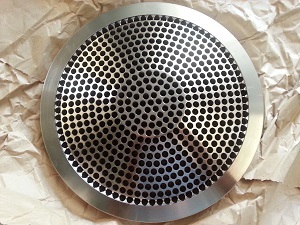 Custom: Complete die heads including gate adapter, adapter plate, and exit plate can be designed and manufactured. 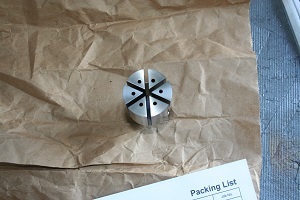 Or, we can design and manufacture an adapter and exit plate to match your existing extruder's gate adaptor. 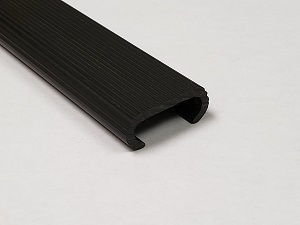 We have designed many profile dies for various resins including abs, acrylic, butyrate, fpvc, hdpe, polypropylene, polycarbonate, rpvc, styrene, teflon, tpr, and urethane. Strand: We manufacture strand dies from as small as 1 hole for laboratory use, to as large as 400 holes for commercial compounding. Our strand dies are manufactured from alloy or stainless steel, with our larger strand dies incorporating restrictor bar technology. All flow surfaces are high finish polished and hard chrome plated if required.